Everyday is National Donut Day isn’t it? Well, I guess technically it is not, although it certainly feels like it or maybe it’s more that I make everyday National Donut Day. But today is in fact National Donut Day, so happy National Donut Day! 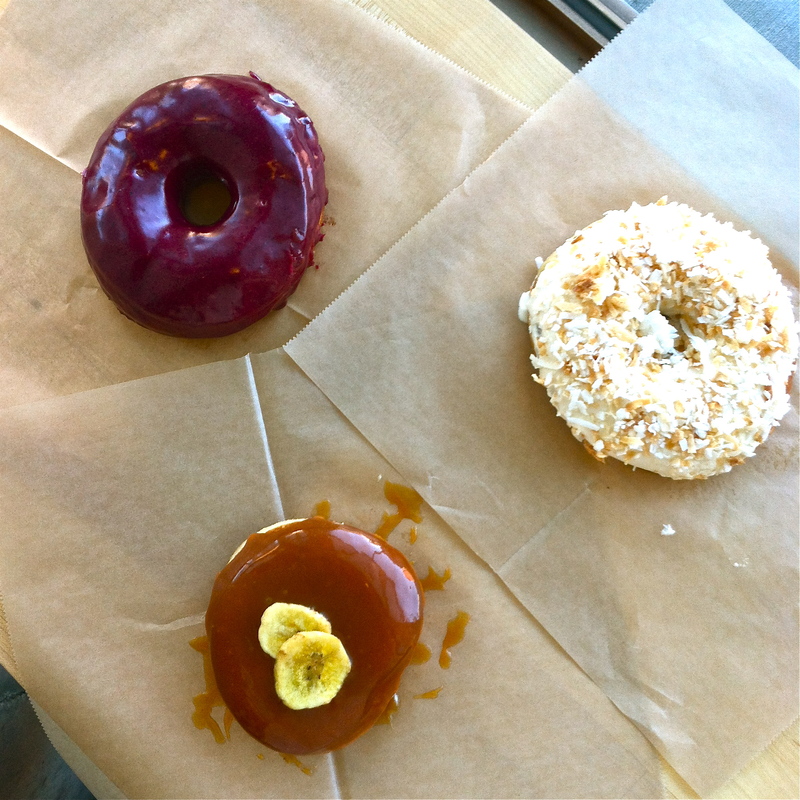 Whether you are in LA, NYC, ATX, PDX or any other wonderful city or town there is a donut out there calling your name. Answer the call – eat a donut today! 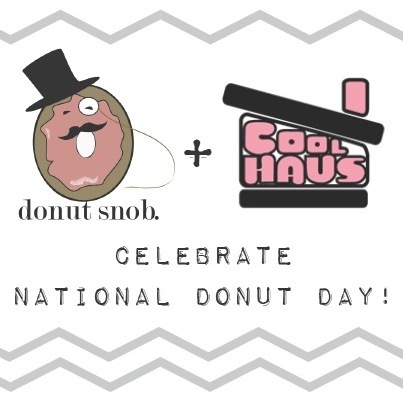 You can enjoy the same fun donut ice cream sammie offering from the Coolhaus ATX truck parked at 6th and Waller from 6pm-midnight! Enjoy a local farmers market fave Red Rabbit vanilla lavendar donuts paired with Coolhaus mango sorbet and Tahitian vanilla bean ice cream. Yum! 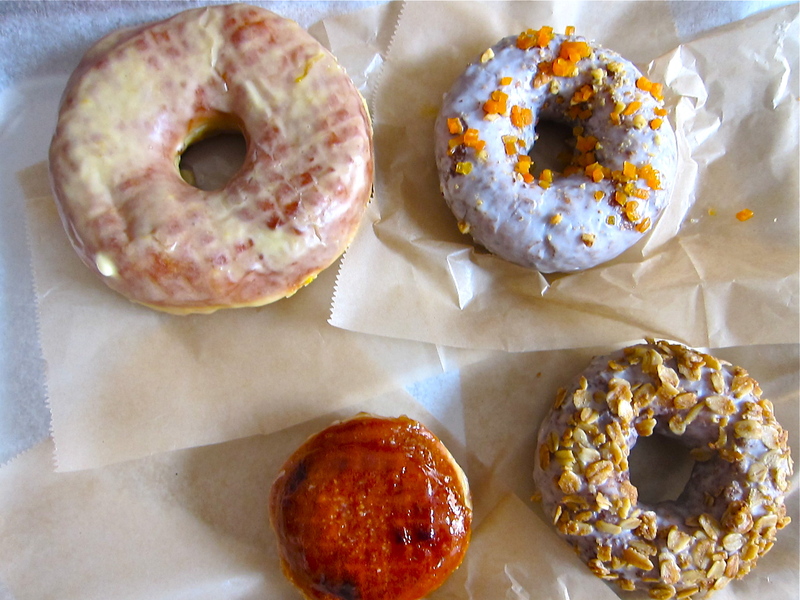 OR you can always hunt down my Austin decadent donut fave Gourdoughs. Have a Funky Monkey for me will ya! You New Yorkers are blessed with having Doughnut Plant on your island. I’m jealous! If I lived in NY I’d likely have a doughnut a day. Do you? 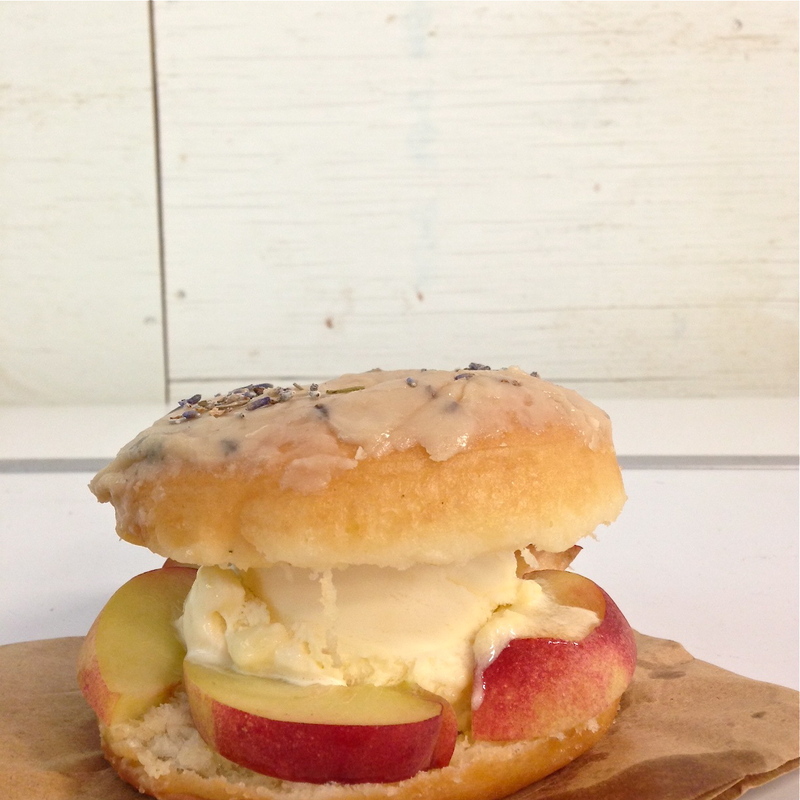 Break that Doughnut Plant routine just this once and celebrate National Donut Day with a different kind of donut. Head over to Tres Carnes to enjoy a double smoked churro donuts filled with crema de carmelo from Fanny Gerson (owner of LaNewyorkina). If that description didn’t make your mouth water, one look at these beauties will. I want one! Have one for me, pretty please. I just returned from Portland. I ate A LOT… of donuts. They were so good, but Blue Star Donuts, well those are the best seriously! Bourbon Blueberry Basil was the standout donut for me. 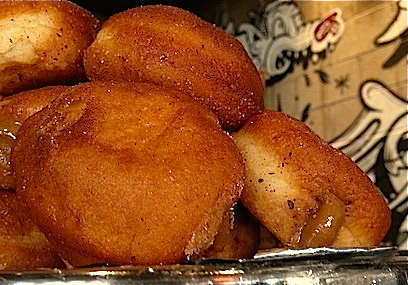 Imaginative flavors, freshly fried fluffy fat donuts. These donuts are magical. Portland go get one of these to celebrate!